How much is Jack Dorsey Worth? 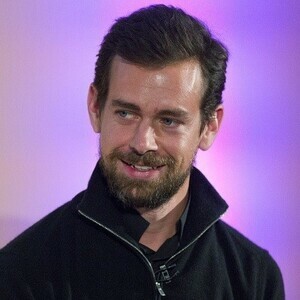 Jack Dorsey Net Worth and salary: Jack Dorsey is an American web developer and businessman who has a net worth of $2.1 billion. Jack Dorsey was born on November 19, 1976 in St. Louis, Missouri. 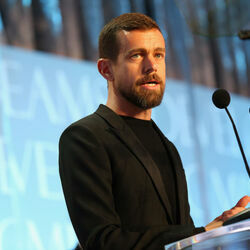 He is most widely known as the co-founder and co-creator of Twitter. He is also the founder and CEO of Square, a mobile payments company. In 2008, he was named by the MIT Technology Review TR35, as one of the top 35 innovators in the world under the age of 35. In 2012, The Wall Street Journal called Jack the "Innovator of the Year". Dorsey became interested in computers and communications at an early age and began programming while still a student at Bishop DuBourg High School, in St. Louis. He was fascinated by the technological challenge of coordinating taxi drivers, delivery vans and other fleets of vehicles that needed to remain in constant, real-time contact with one another. When he was 15, Dorsey wrote dispatch software that is still used by some taxicab companies today. When Twitter was originally launched, it was ridiculed by some critics as a tool for the shallow and self-centered to broadcast the minutiae of their lives to the universe. In its early days, the site also suffered from frequent service outages. But as celebrities and CEOs alike began 'tweeting', Twitter was no longer the brunt of so many jokes. Suddenly the head of the "microblogging" movement, Twitter became a powerful platform for U.S. Presidential candidates Barack Obama and John McCain as a method for updating their supporters while on the campaign trail. 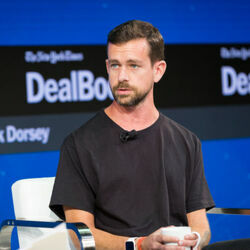 Dorsey went on to became an investor in the social networking company Foursquare and launched a new venture, Square, which allows people to receive credit card payments through a tiny device plugged into their mobile phone or computer. Dorsey joined the board of directors of The Walt Disney Company on December 24, 2013.